Burglary offenses in Pasadena are commonly-filed charges that can result in felony or misdemeanor convictions. Burglary under California Penal Code Section 459 PC is an offense that is often associated with Pasadena theft crimes, however the underlying offense can involve any felony (or petty theft). Under the statute, burglary involves entering a building, home or vehicle with the intent to commit a theft crime or any felony. 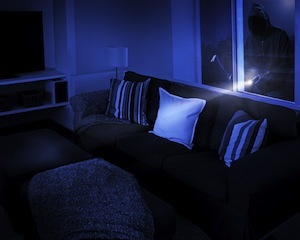 When the building entered is residential in nature, such as a house, hotel room or apartment, the offense is considered first degree burglary which is always a felony-level offense. This offense is often referred to as residential burglary. As with all felonies in the Pasadena region, prosecution of the case would be handled by a Deputy District Attorney from the Los Angeles County District Attorney's Office - Pasadena Branch Office. When the building entered is non-residential, such as a department store, bank or office, the offense is considered second degree burglary which is also called commercial burglary. Commercial burglary is a "wobbler" offense that can be filed in Pasadena as either a felony or a misdemeanor. If filed as a felony, the Pasadena Branch Office of the Los Angeles County District Attorney's Office would handle the prosecution. If filed as a misdemeanor, the case would be prosecuted be either the Pasadena City Attorney's Office or the Los Angeles County District Attorney's Office, depending on whether the offense occurred within the Pasadena city limits. For misdemeanor offenses occurring in adjacent cities such as Arcadia, Altadena and Monrovia, the Los Angeles County District Attorney's Office would be in charge of prosecuting the case. In many cases, misdemeanor level charges would apply when the second degree burglary allegation involves an underlying theft of $950 or less (i.e. petty theft). The underlying offense that the defendant intended to commit does not actually need to take place for a Pasadena burglary offense to occur. As long as a prosecutor can prove that the defendant intended to commit a certain felony or theft offense when he or she entered a building or dwelling, the defendant could be criminally liable for burglary. Because Pasadena burglary offenses are considered "specific intent" crimes, there may be ways to attack a prosecutor's case if there is no indication that the defendant intended to commit a crime at the time of entry. Burglary cases are often supported by circumstantial evidence, such as a person being caught with burglary tools which would show they intended to unlawfully enter a building or a person being caught shoplifting with no money, which would show that he or she had no means of paying for the items and entered the store with the intent to shoplift. There are several defenses that a person charged with a burglary offense in Pasadena may be able to successfully raise. If the owner or person in charge of the property consented to the defendant's entry, then this would be an absolute defense against any subsequent burglary charges. However, this would not apply if the consent was gained by means of trick or fraud. Therefore, if a person is allowed entry into a building by lying about their identity, and then commits a felony or petty theft, that person could still be criminally liable for burglary. A defendant may have a valid mistake of fact defense if he or she reasonably believed that they had a right to the property taken or a right to enter the property. In these cases, the defendant would lack the requisite specific intent needed to prove burglary. In addition, there may be instances where a person lacks the ability to form the specific intent needed to commit burglary because they were intoxicated. However, this defense would not apply when the defendant was voluntarily intoxicated, and may only be applicable when there is evidence that the defendant was drugged or was the victim of some other form of involuntary intoxication. If you have been charged with a Pasadena burglary offense, it is crucial that you consult with a knowledgeable Pasadena Criminal Defense Attorney right away. As a former Deputy District Attorney with over 14 years of prosecutorial experience, Pasadena Criminal Defense Attorney Michael Kraut is highly adept at fighting burglary charges. As a result of Mr. Kraut's former assignment as a Senior Trial Prosecutor in the Pasadena Branch Office of the Los Angeles County District Attorney's Office, Mr. Kraut is highly respected throughout the area as an aggressive litigator who possesses an impressive knowledge of the law. For more information about Pasadena burglary offenses, and to schedule your free consultation, contact Pasadena Criminal Defense Attorney Michael Kraut at the Kraut Law Group located at 790 East Colorado Boulevard, 9th Floor, Pasadena, CA 91101. Mr. Kraut can be reached 24/7 at 888-334-6344 or 626-345-1899.